Life with The Lyons: Ben Lyon and his wife Bebe Daniels with children Richard and Barbara Lyon. A MASSIVE collection of Life with The Lyons episodes has come to light, with select shows set to be broadcast as a tribute to late series writer Bob Block. A Scottish collector and fan recently contacted the BBC after hearing an episode of the popular ’50s radio sitcom aired on BBC Radio 4 Extra. Radio 4 Extra has now announced that a season of lost episodes from the “Scottish collection” will be broadcast in the “near future” on the digital station, as a tribute to Lyons scriptwriter Bob Block, who died last month. The recordings are taken from star Ben Lyon’s original reels and are said to be in “very good condition”. Life with The Lyons was one of the BBC’s earliest domestic sit-coms. Ditching the typical musical interludes in BBC radio comedies of the time, the show, which also starred Lyon and Daniels’ children, Barbara and Richard, ran for ten series between 1950 and 1961. It proved so successful that it later switched to TV. In addition to writing for Life with The Lyons, Bob Block was also the creator and writer of Robert’s Robots, Pardon My Genie, Galloping Galaxies, and fondly-remembered BBC children’s series Rentaghost. He died on April 17, 2011, aged 90. 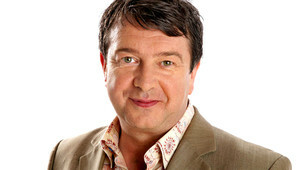 Stuart Maconie presents a selection of recovered BBC radio shows. A SELECTION of previously-missing radio shows including the untransmitted pilot of It Sticks Out Half a Mileare currently on the BBC iPlayer. Some of Our Archives Were Missing, presented by Stuart Maconie, offers a selection of shows previously thought lost, but since returned to the BBC Archive. First broadcast in 2004 on BBC7, Some of Our Archives Were Missing features programmes returned to the BBC through its now-defunct BBC Archive Treasure Hunt campaign. 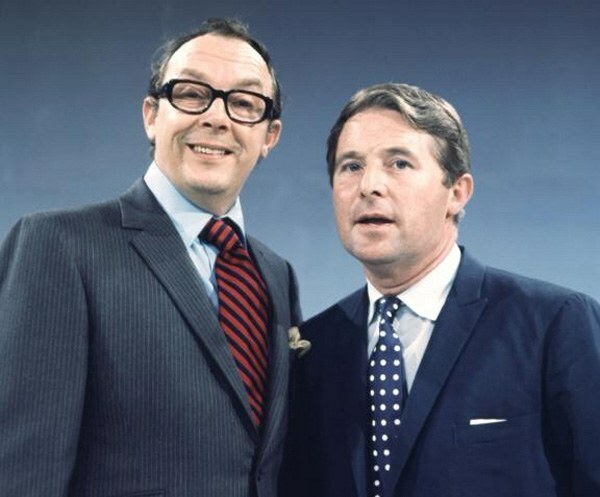 PREVIOUSLY lost recordings featuring celebrated comedy duo Morcambe and Wise are to be aired for the first time in over 50 years. Morcambe and Wise: The Garage Tapes documents the rediscovery of 45 hours’ worth of material – including episodes of their first radio show – found last year during a clear-out. The BBC Radio 4 programme, presented by impressionist Jon Culshaw has been made by Whistledown. The independent radio company was contacted by Doreen Wise, widow of Ernie, after she came across two boxes of reel-to-reel tapes and a leather suitcase packed with 78rpm acetates. These were passed on to Whistledown radio producer David Prest, who says that “three-quarters” of the old recordings were missing from the archives. He said: “There were 45 hours of tape and we worked out that three-quarters of this stuff was thought lost. The BBC hadn’t kept much of it, but Ernie had. RESTORED: Producer David Prest cleaning one of the 78rmp acetates. The most important find is a near-complete run of Morcambe and Wise’s first radio show, You’re Only Young Once, made for the BBC BBC Northern Home Service between November 1953 and June 1954. Also found were the fledgling duo’s appearances on BBC radio programmes Variety Bandbox and Variety Fanfare going back to 1949, sound copies of their Sixties’ Great Yarmouth and Blackpool stage-shows, song demos and audio doodles, and the speeches from a 1974 Variety Club lunch held in their honour. You’re Only Young Once featured skits, songs and cameos from fellow comics such as Bob Monkhouse and Harry Secombe, and, according to William Cook, author of Morecambe & Wise Untold, are important for illustrating the evolution of their comedy. He said: “They were never Northern comics in the vein of George Formby. They looked across the Pond to that Abbott & Costello style of quick-fire repartee. Jon Culshaw, a Morcambe and Wise fan, narrates The Garage Tapes. The garage tapes are believed to be ‘run off’ copies recorded at 33/4 ips by studio engineers immediately after the recordings, and acetate copies for which Doreen Wise paid the studio engineer a few shillings. Morcambe and Wise: The Garage Tapes is broadcast on BBC Radio 4, Tuesday, May 4, 9 – 9.45am. You can read more about the garage tapes over at The Telegraph and also in a BBC Radio 4 Blog by producer David Prest. For earlier coverage of this find, revisit Wiped’s news story from February 2010: Garage Find Brings Us Sunshine. Bring Me Sunshine: Eric Morecambe and Ernie Wise. LOST recordings from the early career of legendary comedy due Morecambe and Wise have been unearthed in a garage. Around 45 hours’ worth of material was discovered by Ernie’s widow Doreen while preparing to move home six months ago. The double act had paid the sound engineer a few shillings at a time to make copies of their recordings. The material – on acetate discs and reel-to-reel tapes – dates from the Fifties. 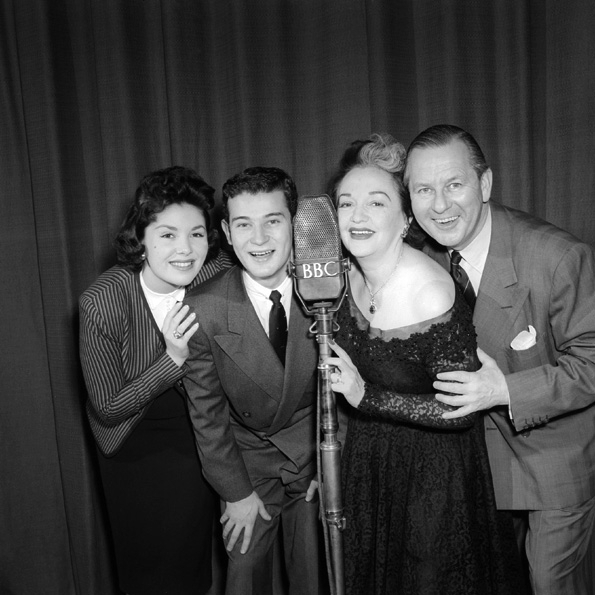 The treasure trove of lost comedy includes the pairs’ long-lost first radio show You’re Only Young Once, aired on the BBC Northern Home Service between November 1953 and June 1954 and featuring guests including Bob Monkhouse and Harry Secombe. Audio from the pilot for their early 1960s ATV series was also found as well as master copies of songs, after-dinner speeches and tapes of end-of-the pier shows. Following Doreen’s discovery, Morecambe and Wise’s former agents contacted independent radio firm Whistledown to investigate what could be done with the material. BBC experts were able to restore some, but not all, of the old recordings, and highlights will be aired later this year on Radio 4. Radio 4 controller Mark Damazer said: ‘’The lost tapes are both a bit of comedy history and BBC history as well as entertaining in themselves. It is good stuff that’s never been heard before and raw stuff from the early Fifties. The hour-long collection of highlights – Morecambe and Wise: The Garage Tapes – will air 9am, May 4, presented by Jon Culshaw. It is also reported that BBC Radio 4 or 7 is in negotiations to broadcast all the unheard material – around 25 shows’ worth. 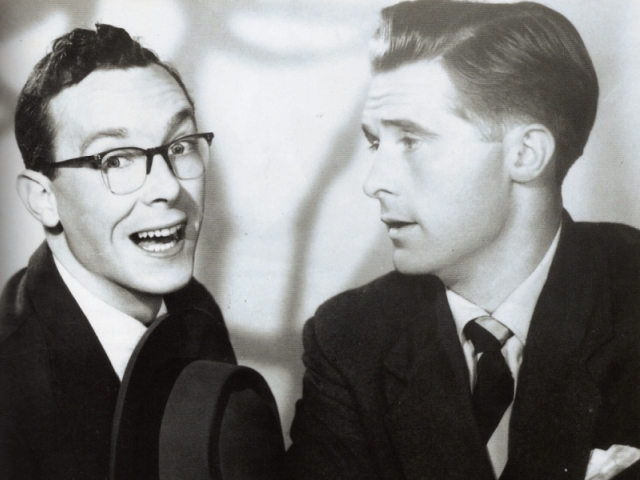 Morecambe and Wise began their partnership in 1941. They reached the peak of the career with their 1977 Christmas Show, which attracted 28 million viewers. Morecambe died in 1984, and Wise in 1999. The story of the garage tapes has been reported widely. You can read more on Chortle and the Daily Mail. BBC Radio 4 is giving Doctor Who fans and missing episode enthusiasts in general a special Christmas treat on Boxing Day. The station is airing Doctor Who: The Lost Episodes in its regular Archive On 4 spot this Saturday, December 26, with presenter Shaun Ley investigating the story of the BBC’s flagship show’s missing heritage. For the documentary, journalist and self-confessed Who fan Shaun interviewed attendees at this year’s Missing In Action convention, but criminally did not include the series’ number one fan Ian Levine, through whose intervention many early episodes were saved from destruction. “As a new era begins for Doctor Who, Shaun Ley investigates the story of The Lost Episodes. “Many diehard Doctor Who fans will be familiar with the number 108. This is the number of episodes from the Sixties which are still missing. When the BBC went through its film archive in 1978, it found that more than 200 black-and-white episodes, recorded between 1963 and 1969, had disappeared. This is the story of the recovery of some of those lost episodes and the search for those that are still missing. “In the early years of Doctor Who, programmes were recorded on videotape which was recycled because it was expensive. But many were also transferred to film and sold to be broadcast around the world. In this programme, Shaun Ley meets the amateur archivists who have scoured the globe for those elusive film cans. He finds out how the first episode of The Crusade (broadcast in March 1965) turned up in New Zealand, and he hears from some of the actors whose work on the early series was wiped, including Pauline Collins, Peter Purves, Bernard Kay and Deborah Watling.